It’s the most perfect relationCHIP ever! 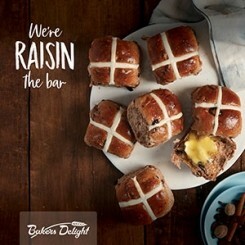 Packed with over 100 CADBURY DAIRY MILK® Chocolate Chips, every Hot Cross Bun is baked fresh every day by their real bakers! And of course, don’t forget about their other famous varieties including Traditional and Apple & Cinnamon Hot Cross Buns! 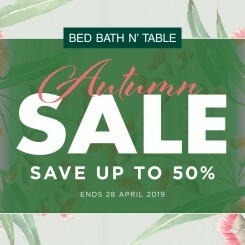 Bed Bath N' Table Autumn Sale NOW ON! Come see our new season collection for Autumn/Winter 2019 and prepare your home for the cooler weather ahead. 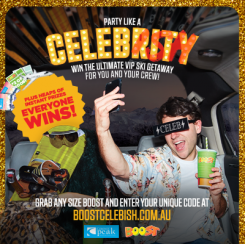 Simply head into store, grab any size Boost and enter your unique code at boostcelebish.com.au EVERYONE WINS! We’re giving away heeeeaaaaaps of instant prizes! 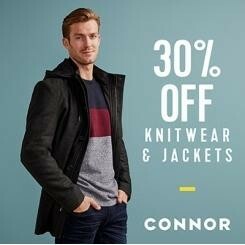 Connor has got you covered with 30% off Jackets & Knitwear! 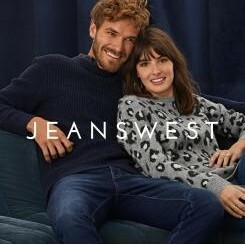 Head in store at Orana Mall and stock up for Winter. Not yet a member? Sign up in store at Orana Mall to receive your 40% off Storewide* discount! *T&Cs apply, see in-store for details. 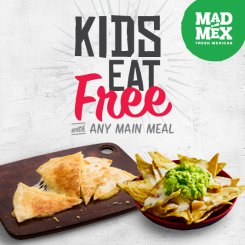 Get 1 kids meal FREE with every main meal purchased at Mad Mex Fresh Mexican from 13/04/19 – 29/04/19! Hurry into Orana Mall Dubbo to take advantage of this amazing school holiday special. Mad Mex is located next to The Reject Shop. Get your home Autumn ready! Gorgeous designs in store now at MyHouse Orana Mall. Celebrate the everlasting bonds your family shares with the new Mother’s Day collection from Pandora at Regency Jewellers. Feeling Adventurous? Or maybe you’re a #stationeryaddict? Typo is delivering the goods to you this April. Hurry into Orana Mall and check out their new adventure stationery range. Treat mum like the queen she is this Mother’s Day! 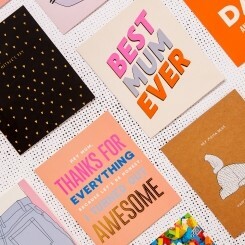 From the ultimate gift to the Instaworthy wrap, Typo is your one stop gifting shop for mum this year! View their massive range of gifts in store at Orana Mall. 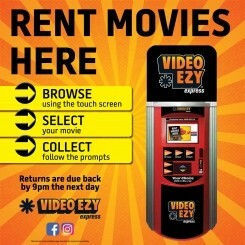 Rent a DVD from the Video Ezy kiosk (located in the undercover car park at Orana Mall near Commonwealth Bank) and enjoy a night in!